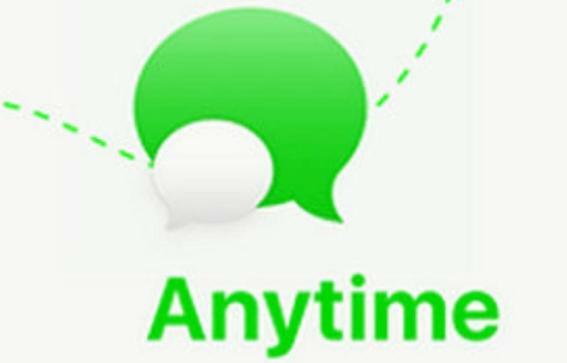 It has been discovered that Amazon is working on its own chat application called Anytime. This is an application that will work on Android or iOS phones, desktop and watches like Apple Watch, Samsung Gear S3 and other watches that use Android Watch. Although the world of messaging applications is saturated, to the point that the standard has become a combination of WhatsApp and some other app like Messenger, Telegram or iMessage, Amazon believes there is room for more competitors. Anytime would be a bridge application that would allow you to connect with other users of the platform, especially if you have one of the speakers or devices connected to Alexa. According to the captures that have been leaked, Anytime would allow you to search for any contact by name, without needing your phone. It will also encrypt messages end-to-end, a common practice in applications such as WhatsApp or Signal. You will have the ability to create groups, with audio calls and video calls and, of course, you can send pictures, videos, GIFs, stickers and emoji. It also indicates that Anytime will have invitations for games, filters for photos and videos, customization of chats and groups, share location, music or buy meal for several people. By having, the Amazon application will list a platform for companies to connect with users and thus interact with brands that can book flights for you or make purchases from a conversation. The arrival of new products like Amazon Echo Show, a virtual assistant that now includes a screen and that Alexa is able to read your text messages, can do whenever a good chat application for customers who use their services a lot. Combating WhatsApp around the world and particularly to iMessage in North America, it is a complicated task that for now neither Facebook has achieved with Messenger. Amazon could launch a good chat application, but is it going to be used by persons accustomed to WhatsApp/iMessage?